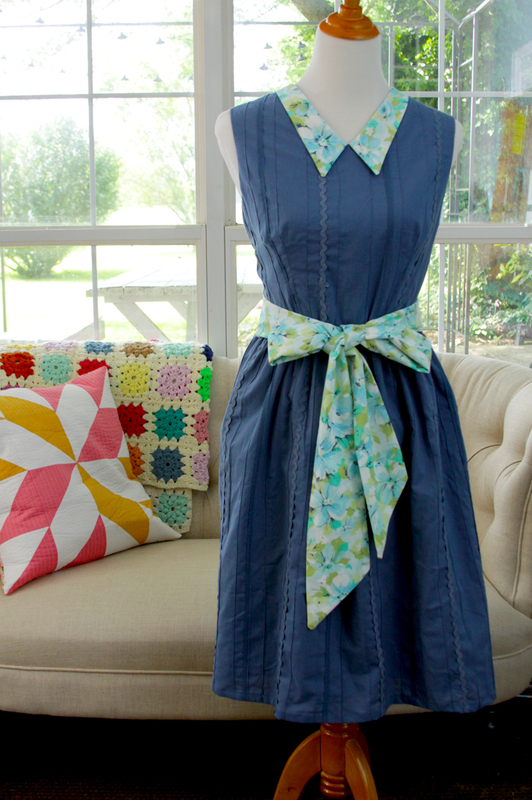 Every summer I participate in the 30 Days of Sundresses series hosted by Melissa of Melly Sews! It’s such a fun excuse to make a new dress and I love seeing all the other sundress inspiration. 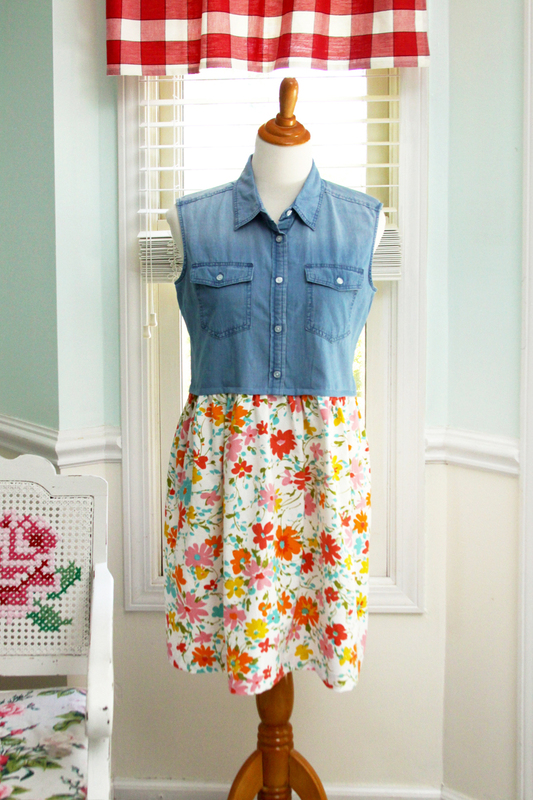 So today I’m sharing my new summer sundress! Melissa did a great job with this book! I was initially nervous because I haven’t done much in the way of pattern altering before. 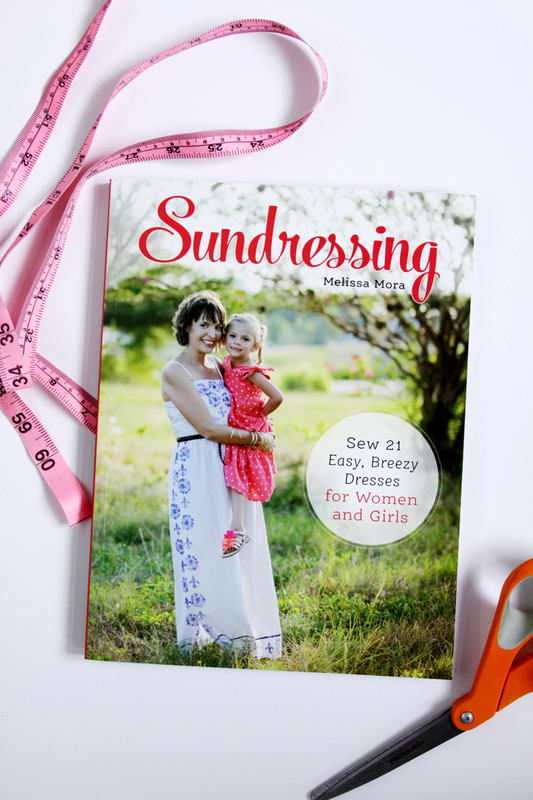 All the dresses in the book are based off a basic bodice pattern, then Melissa teaches you how to fit and alter the pattern for your size, and the different styles. Even though this was my first time, my dress turned out to have an almost perfect fit! I was so surprised and happy. 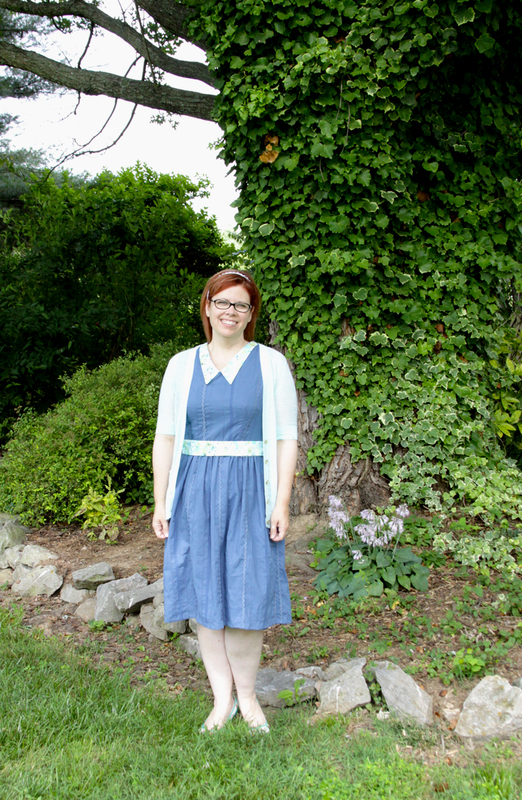 I chose to make the Parlin dress from the book, and I followed the directions pretty closely – my only change was that I lined the skirt as well. :) I loved the vintage style to the dress, along with the option for choosing fun prints for the color and sash. I used this sweet blue cotton I’ve had in my stash forever – it came with the lace, rick rack and pintuck detailing as part of the fabric. I used a coordinating vintage sheet for my collar and sash! The fabric was very lightweight, so it’s super lightweight and comfortable. I like having the option of tying the sash in front or back, depending on the look I want. The dress looks great without the sash too! 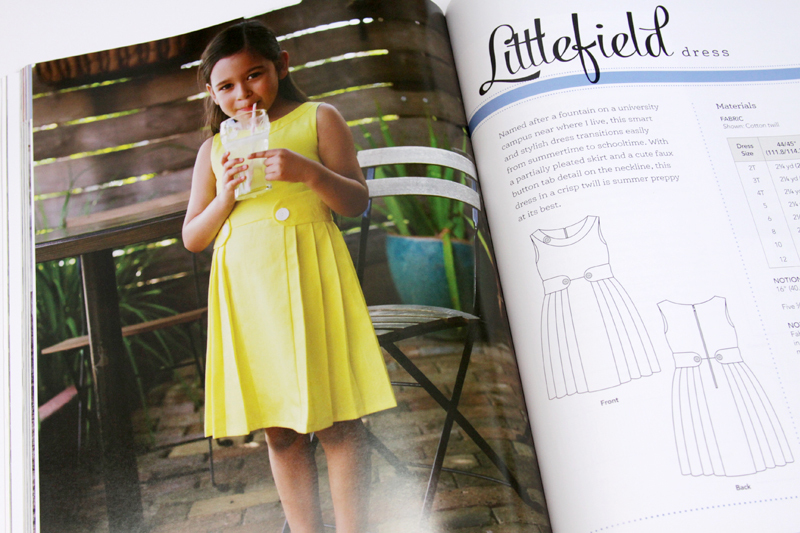 There are lots of cute dress styles in the book! She has patterns for everything from simple sundresses to party dresses. There are lots of great little girl’s dresses too! 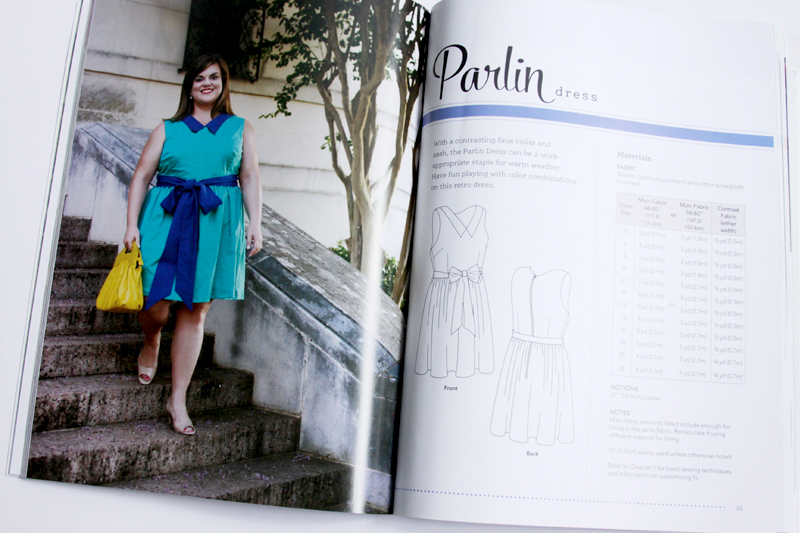 I really recommend picking it up, if you’ve wanted to try pattern altering this would be a perfect book to start with! 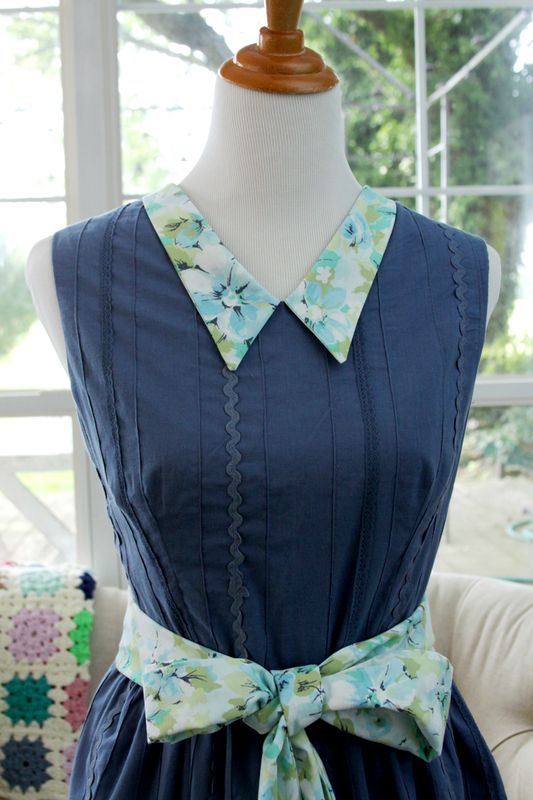 Make sure you head over to Melly Sews to see the other dresses in the series – they are amazing! There are also great giveaways going on! Love it, what a cute dress and that fabric is just gorgeous. I had a new sewing machine for my birthday 2 months ago and all I’ve made so far is a top and done a couple of alternations and a repair. 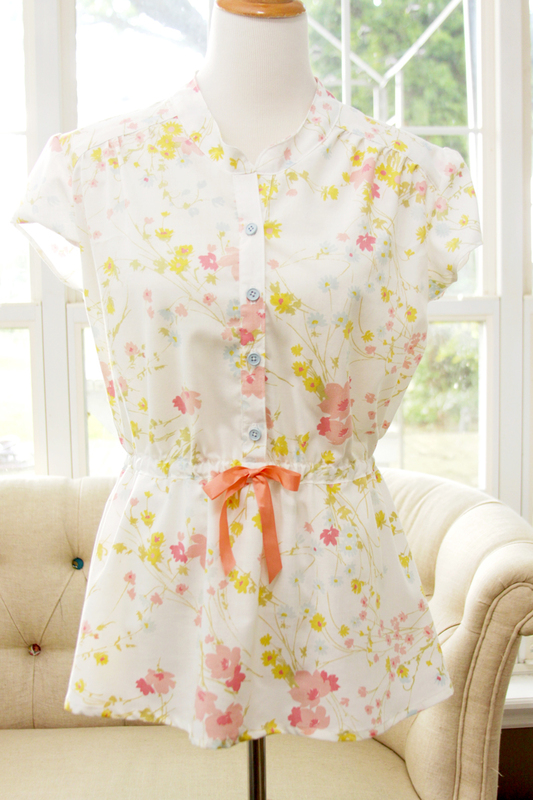 I think a summer dress is calling to me, I’m off to check out all the other ideas for inspiration. I really liked the blue ones. umm that fabric is amazing what a find. 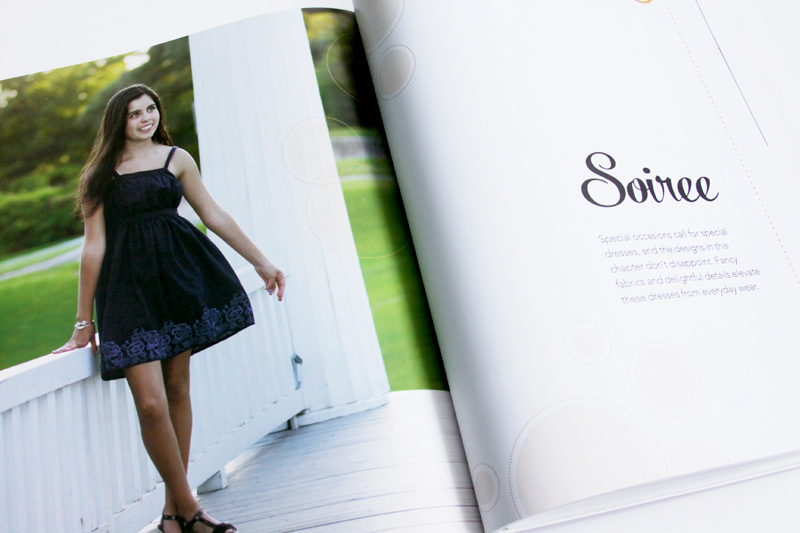 Love how your dress turned out I am excited to make a bunch from Melissa’s book everything is so cute. This is so pretty! I really should up my sundress game. They’re my favorite thing to wear! Fun dresses and thanks for highlighting this! We appreciate seeing you at throwback thursday! So so cute!! 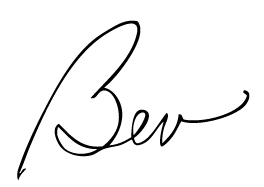 I have to get my sewing machine out to make one of these.